Is this cute couple kissing in an Asian rain forest? Nope, they are in Tacoma, Washington, in the Asian Forest exhibit at the Point Defiance Zoo and Aquarium (PDZA). 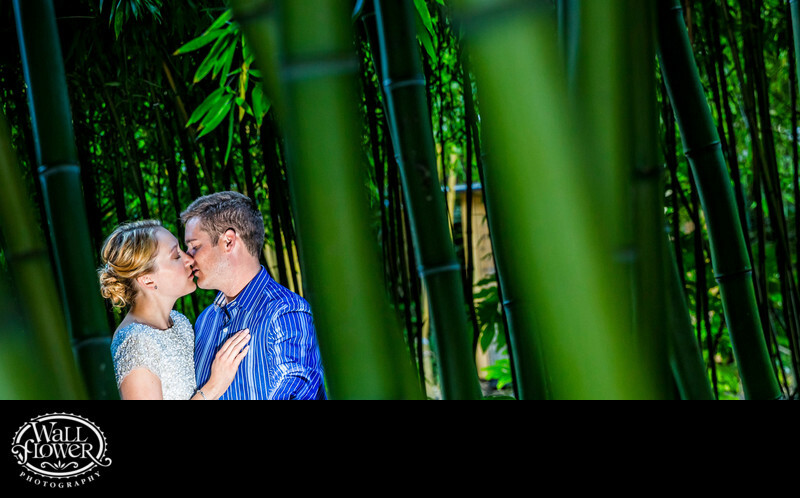 The lush plantings of bamboo and other jungle plants really make a beautiful and exotic setting for engagement and wedding photography. I used an off-camera, radio-controlled Speedlite flash to illuminate their faces in a sort of spotlight effect without hitting the bamboo surrounding them.